More often than not, much of what we do in web analytics can be automated. This applies especially to implementations, audits, configurations, and reporting. So when I’m faced with a menial, manual task that might take hours for me to complete if done by hand, I always look at what could be done with some scripting and API work. I want to introduce a couple of Google Sheets add-ons I’ve written and released to the public. They both automate tasks which I found completely ridiculous to do by hand. The two add-ons, Google Analytics Validator and Google Analytics Custom Dimension Manager, are unofficial, free-to-use, and open-source. They were created initially for my own benefit alone, but at some point I wondered if others might find them useful, too. That’s why I ended up publishing them. You can add Google Analytics Validator to Google Sheets via this link, and you can access the open-source code in this GitHub repo. You can use it to create a sheet with a master list of all the accounts, properties, and views your Google ID has access to. From this list, you can then choose any number of properties/views for Custom Dimension analysis. This means that a new sheet is built, with the name, scope, and active status of all the Custom Dimensions created for each property. Finally, you can fetch the number of hits collected in the last 7 days for any selected view. This tells you if there are Custom Dimensions that haven’t collected any data recently. It’s a simple tool, but it should give you some insight to how Custom Dimensions are aligned across all your accounts, properties, and views. You can add Google Analytics Custom Dimension Manager to Google Sheets via this link, and you can access the open-source code in this GitHub repo. 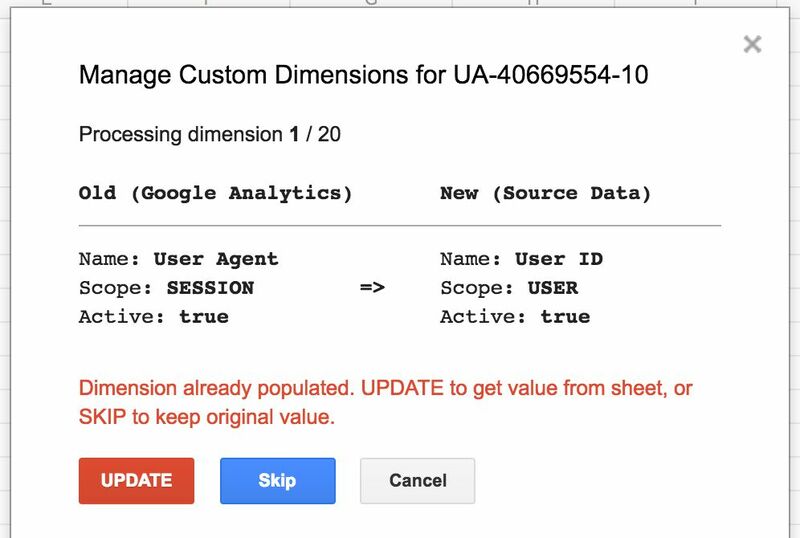 The Google Analytics Custom Dimension Manager lets you mass update Custom Dimensions in any account/property you have required access rights to. The values that you use to update/create the dimensions with are populated in a special Source Data sheet. NOTE! 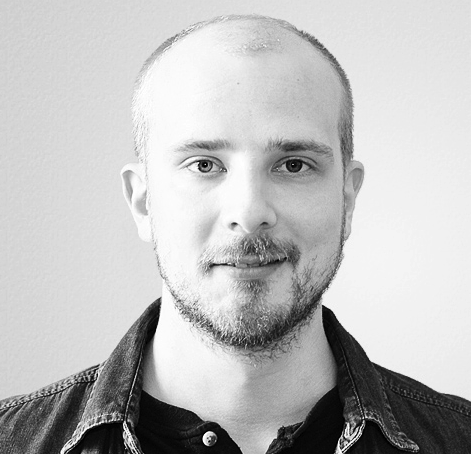 There’s a limit of 500 write requests per day for this project. Naturally, this is nowhere near enough to cater to multiple users who might be using the add-on. I am applying for an increase in the quota, but if this tool is something you’ll need consistently, you might want to grab the open-source code and recreate the add-on as a project of your own. This should save you some time if you need to update 200 dimensions across multiple properties, for example. If you want to leave me feedback, you can do it either via email (simo at simoahava.com), or you can open an issue in either GitHub repo. I appreciate any feedback I can get!